I get really excited when I find a new product I love, especially one I wasn't looking for! 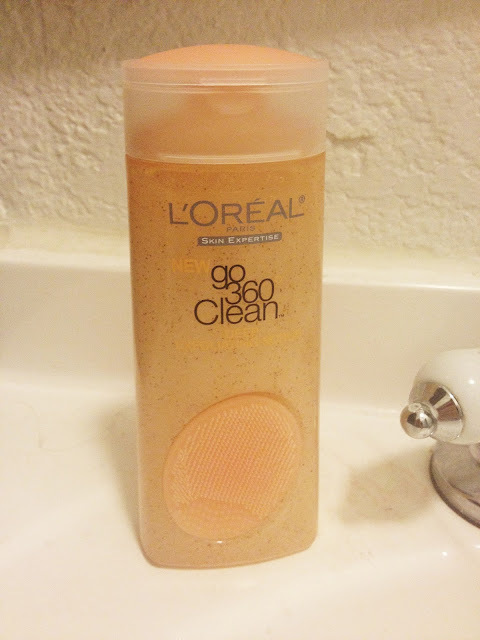 Yesterday I had to pick up some more beauty products and while I was shopping I stumbled across L'Oreal's Go 360 Clean Deep Exfoliating Scrub. First of all, I had no idea L'Oreal made face wash and creams, I thought they stuck to hair and make up... but it does make sense, duh! At first I picked it up because I was intrigued by the scrub aspect, then I smelled the rich peach scent and then I saw it comes with a little rubber exfoliator, major score!! I took it home and then the real test began.... 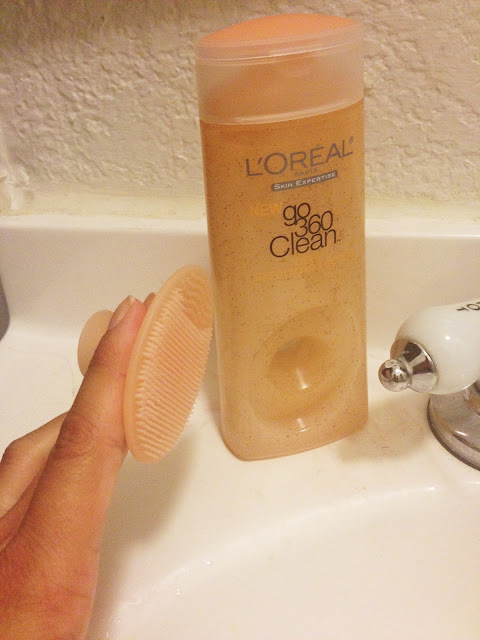 I used it to wash my face and it not only removed all my make up but left my skin extra smooth. I am a super fan now and I just had to share it with you!! You can find it at any drugstore or large retailer like Walmart, Target or Ulta. Best of all, it cost under six bucks!! See the little scrubber, tucked right in the center of the bottle? It pops right out for easy use and right back in for storage! 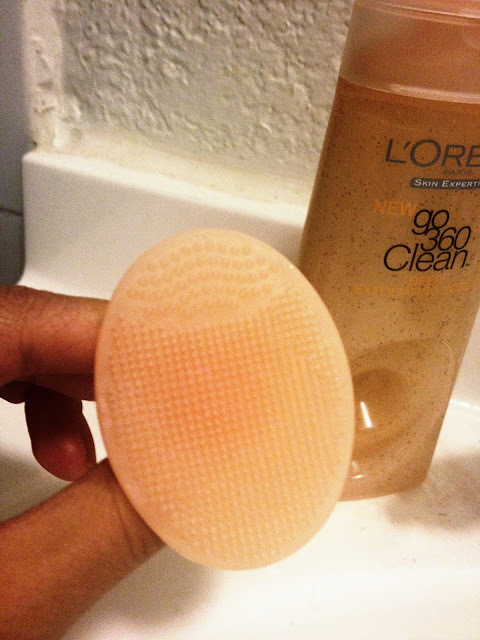 Have you ever tried any of the L'Oreal skin care products? What are your reviews? Ohmygoodness! THIS stuff is magical! I got it for the first time a few weeks ago, and I absolutly love it! My face feels 10x more healthy now! Now I really have to try it!